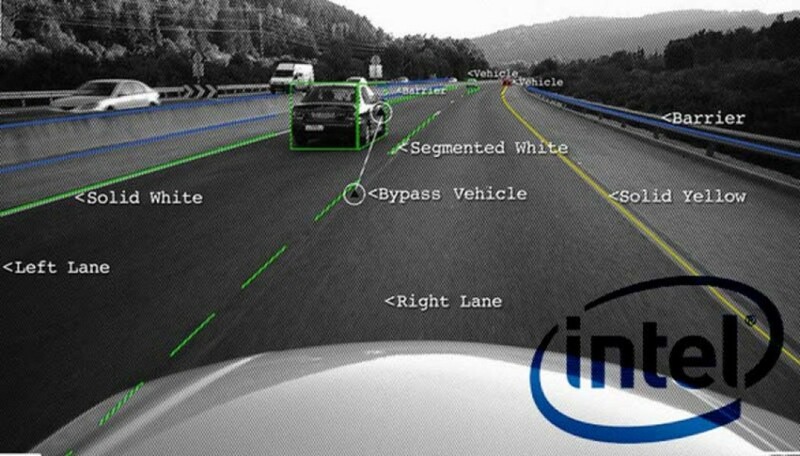 Intel is establishing an autonomous driving division; hacker George Hotz is open-sourcing his self-driving software in a bid to become a network company; LiDAR and distancing devices are changing. What does it all mean? A partnership with German automaker BMW and Israeli Mobileye to produce self-driving cars for city streets. The companies plan to develop the technology as an open platform that can be used by other automakers or ride-sharing companies. Delphi and Mobileye announced they will use Intel’s “system on chip” for autonomous vehicle systems. Yogitech is a semiconductor design firm that specializes in adding safety functions to chips used in self-driving cars and other autonomous devices. Arynga, which was acquired by Intel’s Wind River Unit, develops software that enables vehicles to received over-the-air updates—a capability used frequently by automaker Tesla to enhance performance and fix security bugs in its cars. Itseez, a company that specializes in machine vision technology that lets computers see and understand their surroundings – a necessity for autonomous vehicles which need to be able to perceive the world around it. In a move toward becoming a network provider, and in response to a recent NHTSA letter which caused Hotz to cancel his self-driving aftermarket kit, Hotz announced his plans to open his software code and hardware designs to the world. On November 30th all of the code and plans were posted on Github. Hotz is encouraging people to build their own self-driving kits. His software enables adaptive cruise control and lane-keeping assist for certain Honda and Acura models. “The future is not hardware. If you look at a lot of companies’ business models now it has a lot more to do with ownership of networks than hardware sales. We want to make this as easy as possible for as many people as possible,” Hotz told Fortune, noting that the company even redesigned parts of the Comma Neo to make it easier for hobbyists to build. 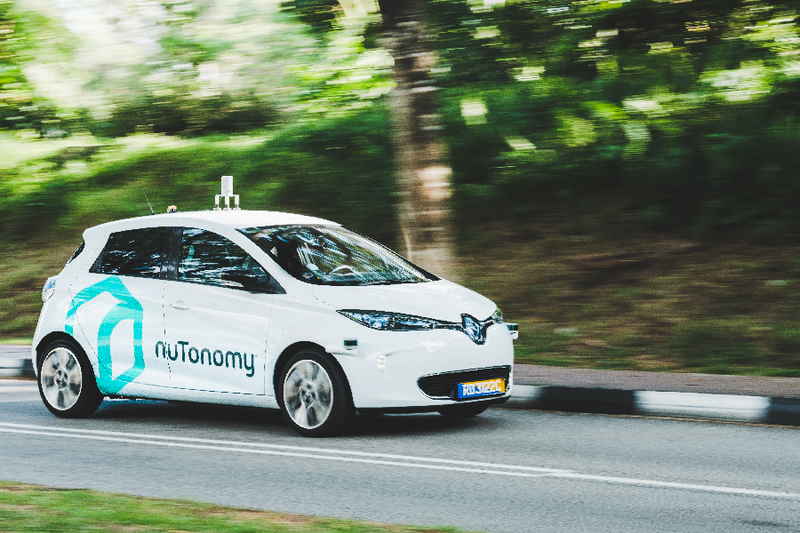 NuTonomy, an MIT spin-off and autonomous vehicle systems startup that’s been testing its technology in Singapore, announced it will begin testing its self-driving Renault Zoe electric vehicles in an industrial park in South Boston in the next few weeks. Although the area is a public area, NuTonomy will, because of the nature of the industrial park, still be somewhat removed from normal vehicle and pedestrian traffic. The clever bit—and what has prevented anyone from building a terahertz lidar before now—is what happens when the light bounces back to the sensor. A second set of optics direct the incoming light onto a large number of microscopic rectifying nanoantennas. These are what Oryx’s co-founder, David Ben-Bassat, has spent the past six years developing. “Today, radars can see to 150- or 200 meters, but they don’t have enough resolution. Lidar provides great resolution but is limited in range to about 60 meters, and to as little as 30 meters in direct sunlight,” says Wellingstein. He expects Oryx’s coherent optical radar to accurately locate debris in the road at 60 meters, pedestrians at 100 meters, and motorcycles at 150 meters—significantly better than the performance of today’s sensor systems. “But don’t write off lidar just yet. 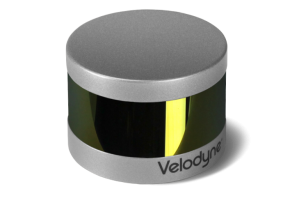 Following a $150 million investment by Ford and Chinese search giant Baidu this summer, Velodyne expects an “exponential increase in lidar sensor deployments.” The cost of the technology is still dropping, with Velodyne estimating that one of its newer small-form lidars will cost just $500 when made at scale [at present, the price on the website is $7,999 for the new PUCK shown on the right]. Solid-state lidars are also on the horizon, with manufacturers including Quanergy, Innoluce, and another Israeli start-up, Innoviz, hinting at sub-$100 devices. Osram recently said that it could have a solid-state automotive lidar on the market as soon as 2018, with an eventual target price of under $50. Its credit card–size lidar may be able to detect pedestrians at distances up to 70 meters. “The stakeholders are numerous and the effects can be devastating. Think secretaries, airline reservationists, and all the others disrupted during the emergence of the digital era. The transition to self-driving vehicles and car-sharing systems is likely to cause similar worldwide disruptions. Consider hotels and motels and their real estate values and employees – particularly those along the major highways. Why stop at a motel when you can snooze comfortably in a long-haul high-speed driverless car? This will likely affect short-haul airlines and airline employees as well. The list of stakeholders also goes on in the auto manufacturing industry and all the Tier 1, 2, 3 and 4 component providers and wannabees. As self-driving vehicles show their needs – for example, the need for low-cost distancing vision systems – new products will be developed and new vendors could replace old ones, hence the posturing by Velodyne, LeddarTech, Quanergy, Bosch, Valeo and all the other LiDAR providers. As the technologies emerge, it becomes clear that vehicles will be the core component in a larger connected world, streaming massive amounts of data to be analyzed in ways we haven’t even fathomed yet, hence Intel’s new division and the new chips from Nvidia, Qualcomm and others. It’s a fast-emerging marketplace on multiple fronts. Times and our definition of cars are changing day by day – and fast emerging – a true moving target!